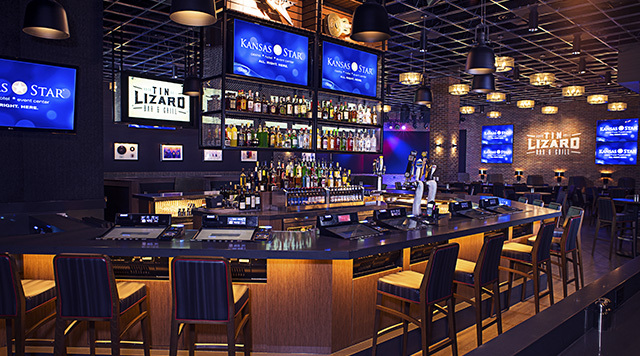 Kansas Star introduces Wichita’s only Rock and Roll Bar & Grill – Tin Lizard. With ice cold beers, and hand-crafted cocktails, Tin Lizard is Wichita’s “go-to” for everything food and fun! Catch all the exciting sports action on our 22 big screen TVs, or just hang out and enjoy live entertainment every Friday and Saturday night with no cover charge.